Traveling to the Capital City from abroad? Well then, let us welcome you with our Southern hospitality! While you are here, feast like a local, immerse yourself in our rich, historic culture and dive into the city’s art scene! As the perfect blend between Cajun and Creole, Baton Rouge prides itself on being a welcoming host to all visitors. 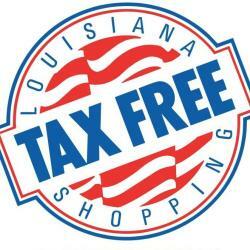 We encourage you to take advantage of our Louisiana Tax-Free Shopping while you’re here!